1st Glass Window Cleaning provide pressure washing services to all kinds of residential and commercial customers throughout Thatcham, Newbury and the surrounding areas. Our high-quality pressure washing services are second to none as is our reputation for our quality of workmanship. At 1st Glass Window Cleaning our pressure washing cleaners in Thatcham, Newbury can provide pressure washing services for residential, commercial and industrial customers. As well as pressure washing we also provide Softwashing using a low-pressure approach so as not to damage building render. 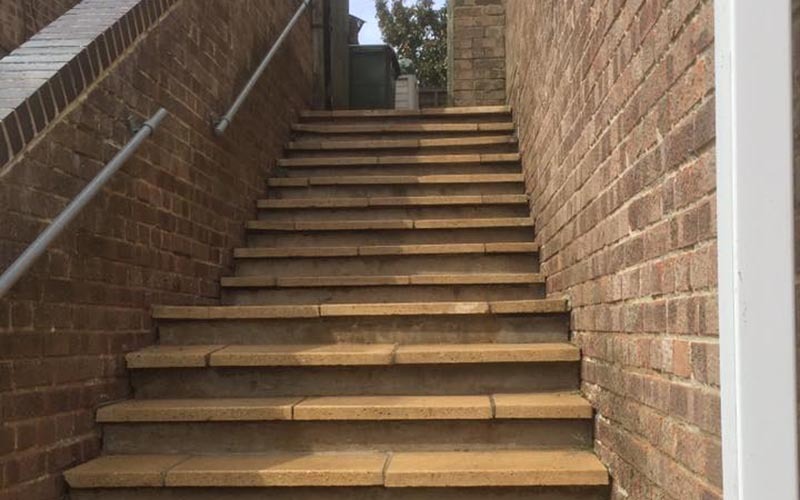 We offer a wide range of exterior cleaning services suitable for all hard surfaces, carried out using various cleaning techniques and equipment. 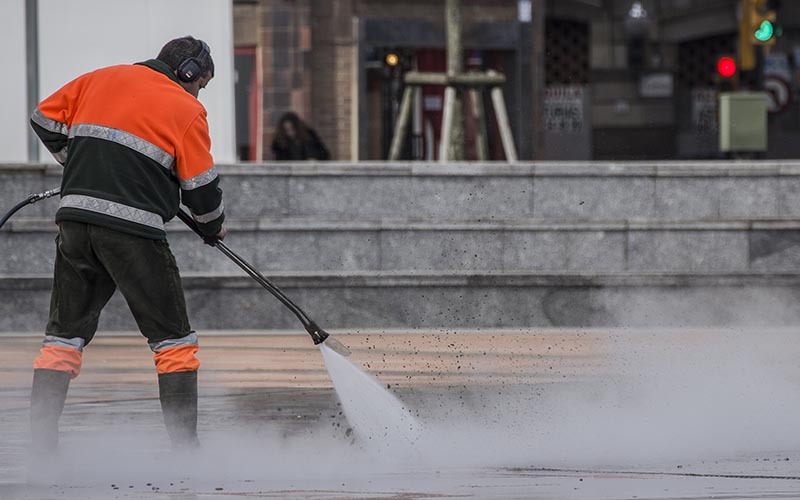 Our expert pressure washing operatives will advise you on the most appropriate course of action for your particular situation, ensuring you get the best results possible. Our team at 1st Glass Window Cleaning understand that simply exposing areas to high pressure water isn't always going to give the best results and depending on the surface we are cleaning, high pressure water can cause damage and deterioration to your hard surfaces, whilst a low-pressure wash may be the best approach for certain surfaces such as rendered walls. Stubborn stains and grime are easily eliminated when pressure washing, leaving your exterior walls, floors and any other hard surfaces clear and clean from the build-up of dirt and organic matter that may have occurred over time. Graffiti can also be removed using a high-pressure wash.
Our team are all highly trained in the use of all pressure washing equipment and provide excellent results for our customers in Thatcham and the surrounding areas. They understand the best approach for any given job and can adapt methods to get the best results from a range of situations. Pressure washing can be the best option in many different situations to effectively clean your premises and hard surfaces. 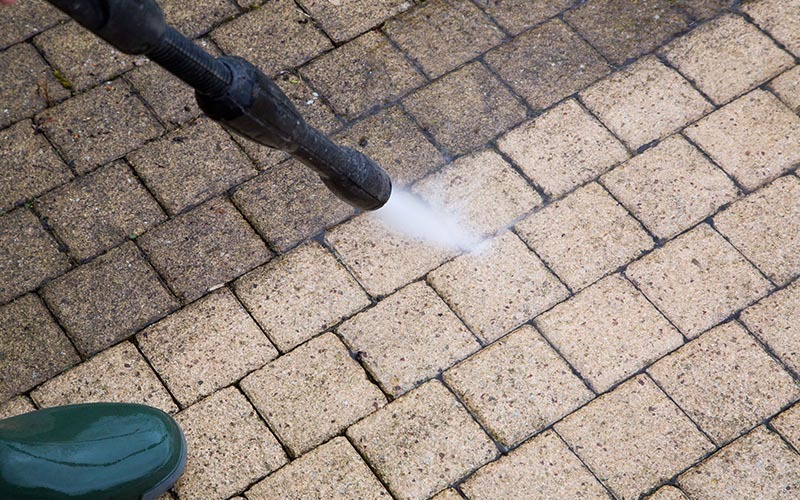 Our pressure washing team can cover brick cleaning, block paving, slabs, flagstones, swimming pools, kennels, street cleaning, walkways, fire damage, public houses, university campuses, hospitals, car and lorry fleets, car parks, shopping centres, restaurants, fast food outlets delivery areas, loading bays, monuments, statues, gravestones church yards, petrol station forecourts, factories & warehouses, workshops and garages, as well as many other types of cleaning. Our team at 1st Glass Window Cleaning provide a high standard of jet washing and pressure washing services to customers all over Thatcham, Newbury and the surrounding areas. We are proud of the reputation we have built up over time and gain a high volume of repeat business and recommendations from our residential and commercial customers because of this. Our staff are courteous, well-presented and friendly. We always clean up after ourselves and make sure you are 100% happy with the job we have completed before we leave. If you are looking for a local and reliable pressure washing company in Newbury then look no further. Get in touch with us today for a free, no obligation quotation. Give us a call on 07771 666 633 or simply fill in our online contact form and we will get right back to you.